Canadian Landing Pad's first Tech Talk series featuring Rahim Fazal on the topic: The Future of Work. The turnout was pretty amazing. We had more than we expected and it was such a heartening scene to see the panels engaging with the audience. Not only did they have an amazing time, they felt the learnt a lot from Rahim. Stay tuned for more of such tech talks in the near future. Till then! 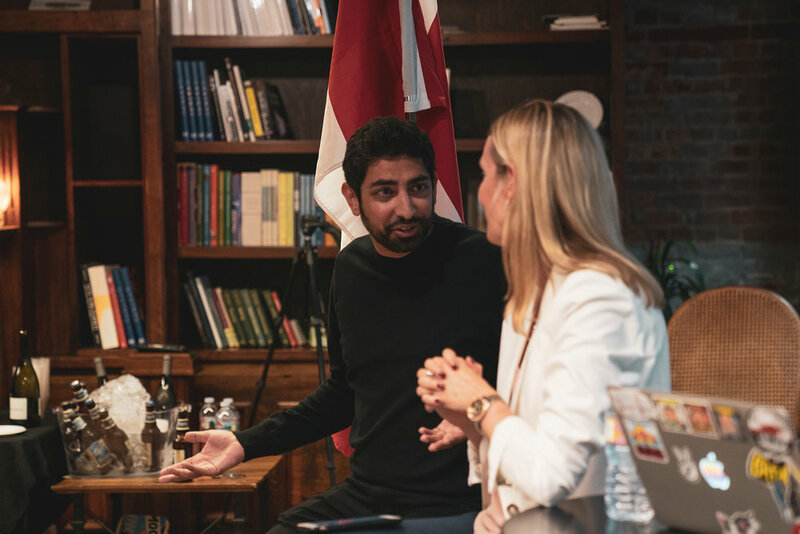 Originally from Vancouver, Rahim is a founder of several B2B software companies, including Involver, an enterprise social media platform, which was acquired by Oracle. Post sale, he spent nearly three years helping to build the Oracle Marketing Cloud, and supporting the global field, inside sales and product development organizations. Rahim is now the CEO of SVAcademy, a future of work platform, which is funded by Bloomberg, and provides pre-trained entry-level sales talent to Silicon Valley's fastest growing SaaS companies. While in high school back in Canada, Rahim founded a web hosting company, which he sold for $1.5m (without telling his parents). He completed his MBA at the Ivey School of Business, where he was the first student accepted without a pre-requisite undergraduate degree. Rahim received an Empact 100 Award at the White House from Startup America and The Kauffman Foundation. He was also named one of the Top 30 Entrepreneurs Under 30 in America by Inc. Magazine, one of the Top 40 Under 40 by the San Francisco Business Times, and one of the Top 25 Digital Thought-Leaders by iMedia. His TEDx talk "How Getting Fired From McDonald's Changed My Life" has been viewed more than 30,000 times.